It was after reading this BHLH article that I realised I didn’t ever do a post on how I’ve been getting my hair cut. 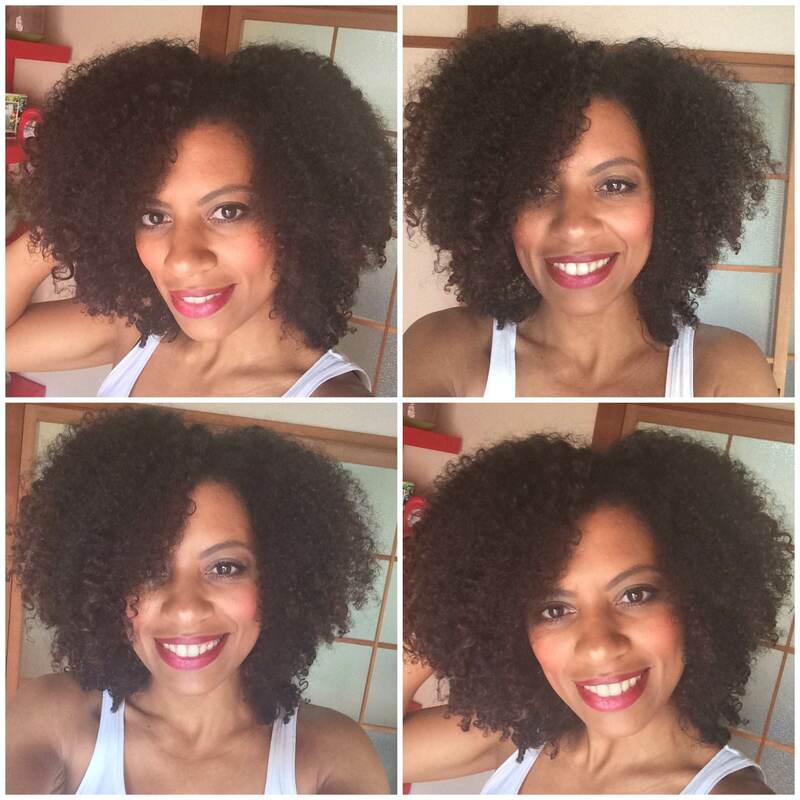 Since fully embracing my curls in all their natural glory, one thing I did find to be a challenge was getting it trimmed, especially here in Tokyo where there really isn’t much of a natural hair scene. So after scouring You Tube videos I did eventually succumb to trimming it myself the first two times. How did I do it? Simply by twisting my hair up and snipping off the ends of each twist. However, it’s with the last trim that I knew I wanted something more. The thing is that even though I was retaining lots of length, my hair started looking a bit drab to me. And by drab I don’t mean lifeless or damaged, I simply didn’t like that some bits of hair were hanging a lot longer than other pieces were. I decided that I needed a shape-up. But what’s a curly girl to do when she has no natural hair salon to go to? I decided to enlist the help of my fiancé to cut my hair for me. That’s right! I asked my caucasion fiance who had never dealt with a single curly hair in his life to take the shape of my fro in his hands. On top of that, I requested a very specific type of cut to give me my current shape. You guessed it, I asked him to give me the Deva Cut, and it came out looking fabulous, even if I do say so myself. In case you don’t know what it is, the Deva Cutting technique is a technique used by the Devachan Salon in New York for cutting curly hair, developed by Lorraine Massey from the famed Curly Girl Method. The premise of this technique is that the hair is cut in its natural form: dry, not wet. Each curl is individually shaped and the style is based on the individual. This is what I love about this technique. You work with your own curl pattern, of lack thereof even, but it’s based on your hair. 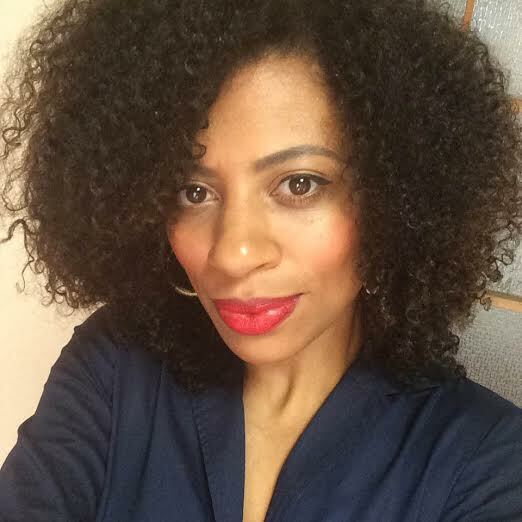 There’s no need to blow-dry and/or flat iron the hair first, which is the way my hair was always cut before my healthy, natural hair journey days. I really like this definition I found on the Devachan Salon website. The Deva Cutting technique is Devachan’s revolutionary method for cutting curly hair. The hair is cut dry, simply because we wear our hair dry not wet. We cut the hair in its natural form, curl by curl. 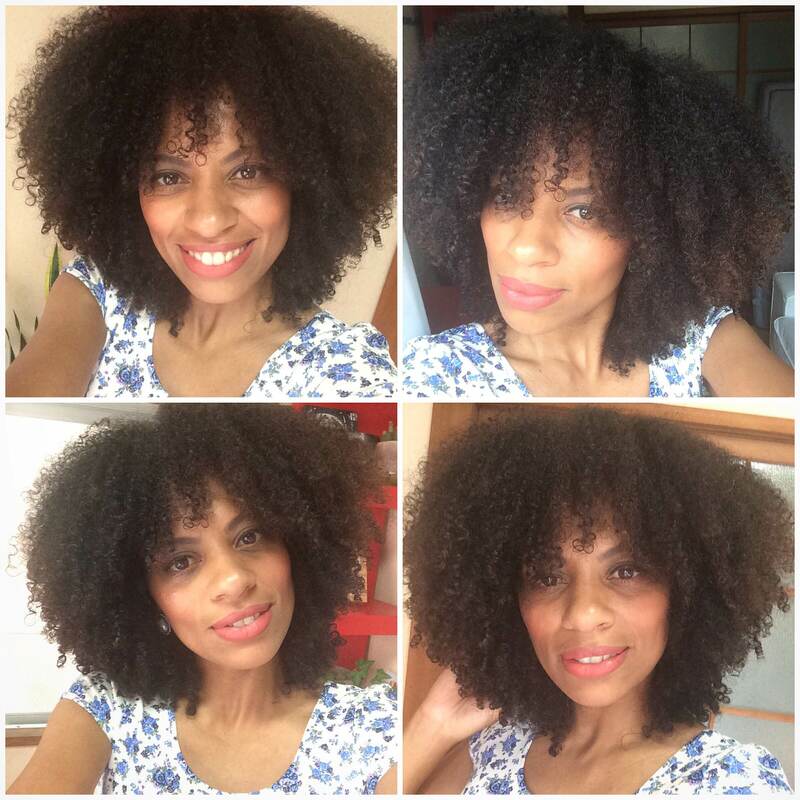 Since curly hair and it’s spring factor (insert shrinkage) can be misinterpreted while wet. This unique innovation allows the stylist to sculpt each client’s hair, according to their individual curl, look, and style. Further on the website is also states that stylists must be highly trained in this technique to execute the cut successfully. So what training was involved before subjecting my hair to this cut? Watching countless amount of You Tube videos of stylists doing the cut, including the pioneer Lorraine Massey herself. Was I nervous before we set off? Definitely. But before we started both my fiancé and I had a clear idea of how the technique works and how I envisioned my final look. This is how we went about it. I washed my hair in the morning, applied some product and let it air-dry. Once it was completely dry, I sat myself down with my full-length mirror in front of me. My fiancé started cutting, commencing from the back left side first, making his way to the front. Following this he started from the back right, and continually compared the shape with the left side as he made his way forward on the right side. He lovingly cut just about every single curl on my head until I was happy with the shape! I have to say that this cut is definitely more about the shape, than the length. Most curly girls have multiple curl patterns on their head, and I’m no exception. The hair at the nape of my head has a much looser curl pattern, which means it doesn’t shrink up as much as the rest of my hair. The result is usually that that hair hangs down longer on my back, even though it really is in proportion to the rest of my hair. But ultimately it just looks silly or as my brother used to call it, “the stingray look’. So we set about getting those proportions right. The end result is that those strands are now quite a bit shorter than the rest of my hair, but because of its loose curl pattern, it hangs in proportion to the rest of the hair. So it looks as good at the back as it does in the front. In reference to the BGLH article, it says if you don’t wear a wash and go ’25/8′ then this style really is not for you. But to be honest I actually wear my hair in twist/braid-outs most of the time, with wash and go’s only making more of an appearance during these hot Summer months, and the shape works well for both my shrunken and stretched styles. Also, I never heat stretch my hair anymore, so for the uneven lengths I’m sure I have, it really doesn’t matter as I’m only sporting my voluminous curls. In the end I suppose it does come down to what works for one head of hair might not work for another, but if you are looking for a shape to give you bouncy curls that pop, do give this technique a try. Have you ever tried this cutting method? Let me know below. Good article! Thanks for the tips.